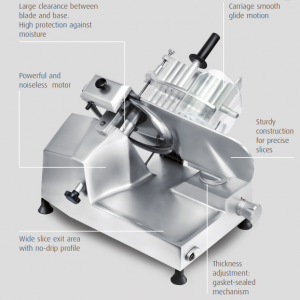 IPEC launches the distribution of the new ROMIS meat and cheese slicer. The blades of these machines range from 300 to 360 mm in diameter. Augmenting the size of the blade allows to increase the size of meat to be sliced. The gravity slicer is suitable to slice small or big-sized meat, ranging from medium to high quality, which fall by gravity towards the blade. These machines can be equipped with special food chutes for meat-slicing in addition that Cheese can be sliced by installing specific teflon coated blade. This slicer is perfectly designed to be used in a bar, restaurant, butcher shop or other business. 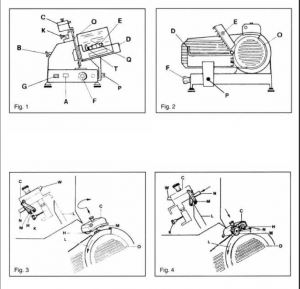 The blade must always be closed (rotate index knob dial clockwise until it stops) and the plug must always be disconnected during the cleaning procedure. Usage of a soft cloth soaked in warm water and mild detergent is suitable for treatment of surfaces that are in contact with food. This happens by rotating the index knob dial counterclockwise to the desired slice thickness. We recommend keeping the slicer on for no more than 20 consecutive minutes, followed by 20 minutes of rest, in order to avoid engine damage. 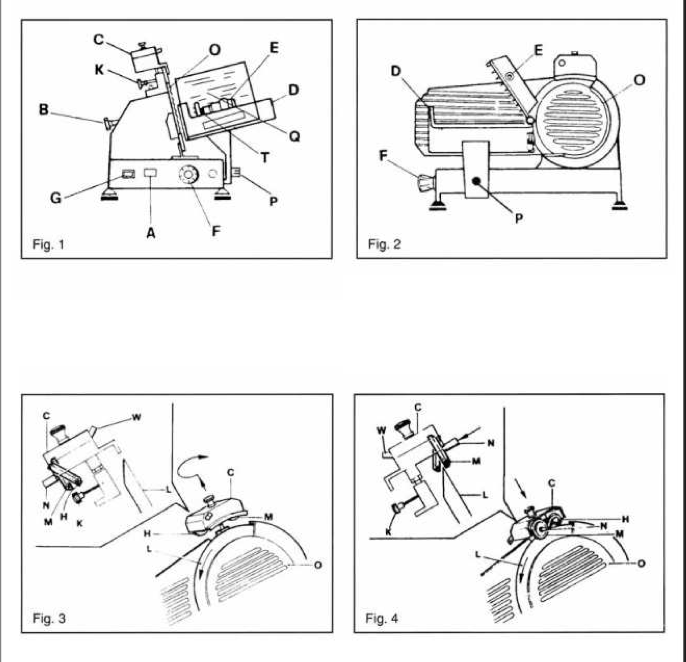 This operation happens by unplugging the power cord, cleaning the slide rod, with attention not to damage the electrical parts and lubricating with vaseline oil. Cleaning with care the end weight slide rod the food chute runs along, then lubricate with vaseline oil. Salami without bones, non frozen pieces of meat without bones (only slicers equipped with food chute for meat).For, bread and fish ask us for a specific blade. This entry was posted in Latest Collections and tagged Cheese slicer, fish slicer, Meat slicer, salami slicer by Admin. Bookmark the permalink.